When comparing the ad spend of January to September of 2015 to this year’s equivalent, the biggest growth was seen in digital with 27.8 percent, followed by cinema with 23.8 percent and outdoor with 19.7 percent. But one thing that has remained consistent is TV's hold on the biggest share of the dollars at 38.4 percent. However the 4.2 percent drop in TV spend is closing the gap between it and the ever-growing digital. The total ad spend of all platforms for the January-September period last year to this year has increased 6.2 percent, which SMI managing director Australia/New Zealand Jane Schulze says puts this year’s spend at a record high and is a sign of a healthy economy. She says it shows a growing confidence among New Zealand advertisers and the ability of media to provide relevant audiences to advertisers. Of all growth, the spend on digital is the biggest, going from $179 million in January-September last year to $229 million in the same period this year. In January-September 2009, spend on digital was 8.4 percent of all ad spend. It then crept up to 13.9 percent of all spend in the same period of 2012. It’s since leapt to 31.6 percent in January-September 2016. Digital's 31.6 percent share of all ad spend and is one of the highest proportions in the world. Schulze points out the US’s spend on digital exceeds it. While digital has grown markedly over the last few years, this isn't entirely at the expense of traditional media, with a significant chunk also going toward on-demand and news websites owned by the major media companies. Schulze also says KPEX has been "fantastic" and publishers smart to get together to take on the walled gardens of Facebook. It's also worth noting that digital can be a tricky channel to get right. While marketers have had decades to develop strategies in the traditional media channels, digital changes all the time, meaning that marketers need to constantly tweak what they're doing. Because of this, Datamine managing director Mike Parsons told NZ Marketing magazine earlier this year: “There are certainly examples of excellent results in the digital channel in New Zealand. [However], there’s also lots of digital investment that goes astray. Even if you think you’ve cracked it, soon people’s habits or the technology changes so you have to revamp”. And that digital investment can also go astray through click fraud and adblockers. Some have also questioned viewability on digital platforms as ads may appear on a part of the page that is not on the screen. One platform that doesn’t share those concerns is cinema, which saw a spend $4.4 million across the January-September period last year and $5,4 million in the same period this year (a 24 percent lift). Aiding in the appeal to the platform is its ability to capture a captive audience, something Colenso BBDO copywriter Simon Vicars pointed out to NZ Marketing Magazine. “People aren’t watching you on a pissy little phone screen, you know they aren’t watching it on a tiny tablet while half checking emails from their computer. All those distractions fall away and people are there expecting to be entertained,” he says. Schulze adds the growth reflects a strong box office and she doesn't see the big screen losing eyes. “For all the Nextflixes of the world, if there is a Star Wars movie, people will go to the cinema,” she says. The other platform seeing significant growth in the past year has been outdoor, which has grown from $64 million to $77 million in the January-September 2015 period to that of this year. Schulze says there are two factors contributing to the growth, with the first being the digitisation of the inventory. For spend, this means outdoor providers have been able to sell the same inventory numerous times. The other contributor is industry recognition of its scale, she says. While the likes of digital and some newspapers and magazines offer the ability to target a niche audience, outdoor offers a wider, less specific audience. And for those building brands, it’s undeniably powerful. “To build a brand you need a big audiences and I think there’s been recognition that outdoor is great at building brands,” she says. Outdoor also has its unavoidability going for it. 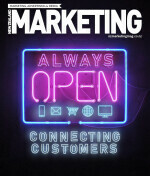 As ANZ head of marketing New Zealand Astrud Burgess said to NZ Marketing magazine “you can’t fast forward a billboard”. The same unavoidability goes for radio because Schulze says, you can’t skip a radio ad. The platform has grown from $56 million in the 2015 January-September period to $58 million in the same period this year. One platform that hasn’t been listed by SMI is experiential, which has made itself known the the past years. And it’s particularly relevant today, as millennials are placing more importance on experiences and less on consumables. A recent Contiki survey completed by 5,000 people from around the world, showed those of a younger age are keen to spend their dollars on experiences such as gigs, festivals, attractions, entertainment and travel. However, Schulze says experiential marketing spend is very small and “doesn’t even really register”. And, depending on the agency conducting it, it may go into outdoor spend she says, giving the example of Ooh! Media’s experiential division oOh! Edge. As well as the platforms listed above, newspaper spend has decreased 16 percent and magazine spend has fallen 15 percent. Also, in the ad spend data from SMI is product categories. Like ad spend across platforms, the category total grew 3 percent from January-September last year to this year's equivalent. Leading that growth was the telecommunication companies, with a spend of $48 million in January-September this year, compared to $42 million in the same period last year. This growth is reflected in the campaigns rolled out by all companies this year. Spark launched its first major brand ad in July and since followed it up with micro moments, while Vodafone's set about targeting youth and showing off its 4G network in an elaborate drift car test. 2degrees also launched a big campaign to champion its rollover data. Telecommunication's growth is followed by growing spend by retail and specialty retailers, which have remained the biggest spenders across all the categories. *SMI data only takes into account spend made through media agencies. Direct advertising sales are not included in this breakdown.